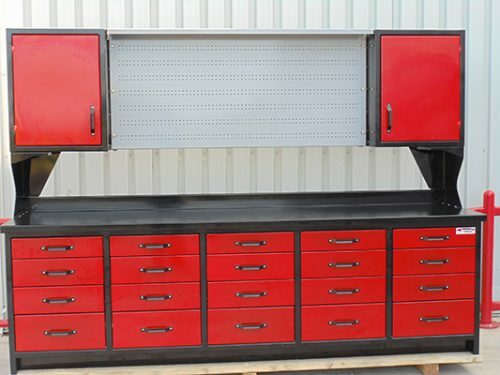 As an optional feature we make an upper cabinet with peg board or all doors for your workbench. 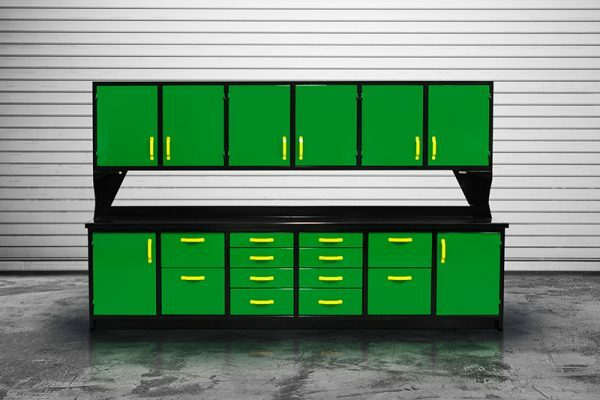 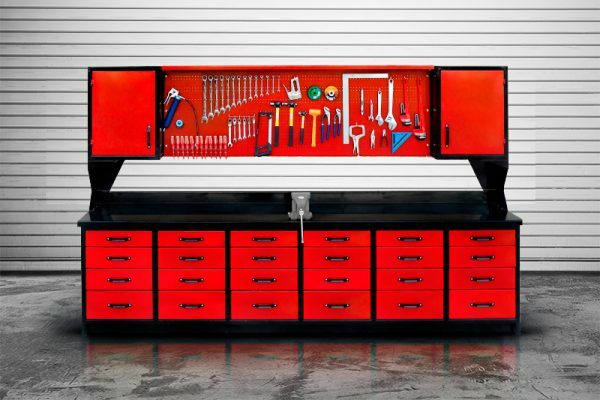 If you need a spot to hang your tools, or just some additional storage space, the upper cabinets are a great option. 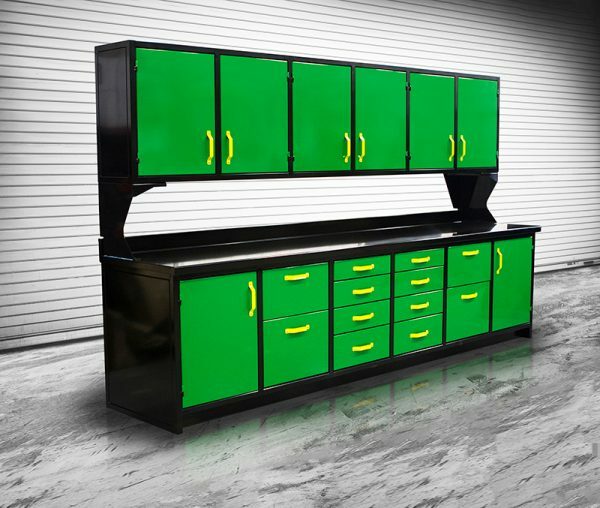 Contact Us for more information about our Upper Cabinets.